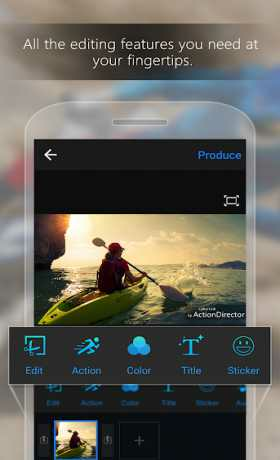 ActionDirector is the only ? 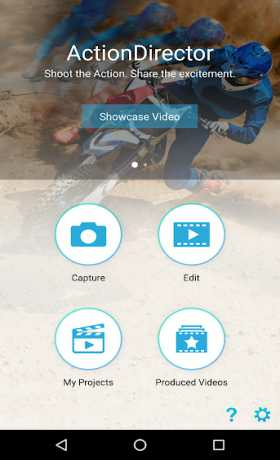 video editing app you need to ? record video, ? edit videos, apply ? video effects and ? share with friends. 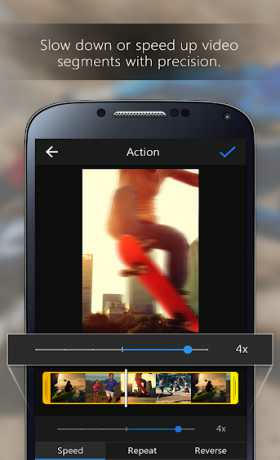 Create video from the app, with a helpful movie editing tutorial guiding you as you add action movie effects and edits.